Deputy International Trade and Industry Minister Dr Ong Kian Ming said here today the level of trade liberalisation under the proposed Regional Comprehensive Economic Partnership (RCEP) is still being extensively deliberated among participating countries. 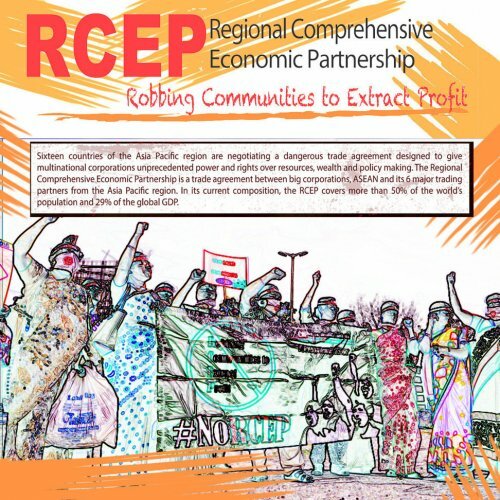 The RCEP is a planned free trade agreement (FTA) among 10 member countries of the Association of Southeast Asian Nations (Asean) and six Asia-Pacific countries, with which Asean has FTAs. The 10 Asean member countries are Brunei, Cambodia, Indonesia, Laos, Malaysia, Myanmar, the Philippines, Singapore, Thailand and Vietnam while the six Asia-Pacific countries comprise Australia, China, India, Japan, South Korea and New Zealand. "The percentage of goods that will not be charged a new tariff, whether it’s 80% or 70% of goods traded for example, is still being deliberated by the participating countries. Some want more, some are less open. "There were ambitions for the RCEP to be concluded by end of 2018 but because of certain issues that were still being discussed [it was not concluded]. Whenever China and India sits in the same room, you can anticipate that there will be disagreements so we are slowly trying to iron them out," Ong told reporters here today on the sidelines of a dialogue organised by CIMB ASEAN Research Institute (CARI) in collaboration with the ASEAN Business Club. On Jan 16 this year, theedgemarkets.com, quoting Ong, reported that Malaysia hopes that negotiations on the RCEP can be concluded by the end of this year to enable Malaysian companies to expand their export markets. Ong was quoted as saying then Malaysia was also exploring the possibility of restarting negotiations for other FTAs with European countries.